You wanted an app, but all you got was an error code? There's hope. Some days I really, really hate the Windows Store in Windows 10. For the past few days I’ve been trying to find a fix to a very specific problem with two apps that refuse to update. I haven’t solved it yet, but during my travels through the interwebs I’ve come across several easy-to-use fixes that have helped others. 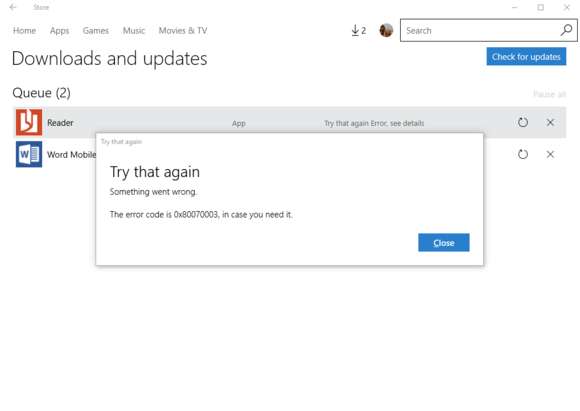 If you’re currently finding that the Windows Store is not working as it should, here are three simple fixes to try before doing anything else. 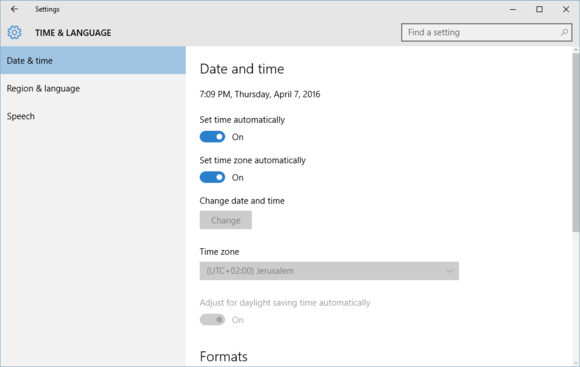 Sometimes the Windows Store won’t update if your time and date settings are incorrect. To make sure they’re right, click on the time and date in the far right corner of the taskbar. In the panel that appears, select Date and time settings, which will open the settings app. At the top, make sure the time is correct. If it’s wrong, make sure the sliders for Set time automatically and Set time zone automatically are set to on. If that doesn’t get you the correct time, then turn both sliders off and set the time manually with the controls below. Windows 10’s wsreset command is easy to find using Cortana. The next thing you can try is a little command called “wsreset.” As its name suggests, this utility will reset the Windows Store cache in Windows 10 (as well as Windows 8). It’s easy to do and tends of solve a lot of problems. 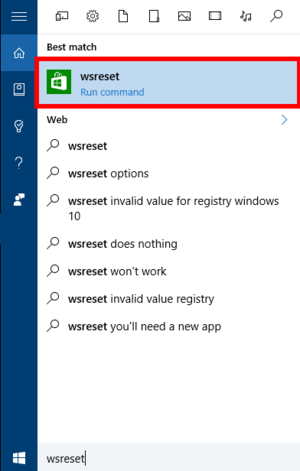 The easiest way to get to the program is to type wsreset into the Cortana search box. The top result should be similar to what’s pictured here. Once you click the wseset option, a command-line window will open and run the executable file WSReset.exe. It may just sit there for a while doing nothing. Don’t worry about it. Just let the reset window sit there until it closes automatically. You’ll know it’s finished when the Windows Store app boots up. Once the reset is done, try to carry out the update or whatever other operation you wanted to do. One recommended fix is to erase a bunch of files and logs and try downloading and updating again. Basically, what you’ll be doing is deleting everything you find in C:\Windows\SoftwareDistribution\DataStore and C:\Windows\SoftwareDistribution\Download. The site Tech Geek and More has a longer, step-by-step explanation of this process, including advice to stop the Windows Update service before deleting those files. Those are the three most basic fixes you should try first. Check the error code and look online for workarounds. If they don’t work, it’s time to get serious. Copy the error code you’re getting—Textify can help with that—and then search online for potential fixes on the various help forums. If you get to this point, one word of warning: Don’t type any commands into the command line without understanding them first. Also, resist doing a reset of Windows if you can. Resetting is an extreme solution that should be your last resort.